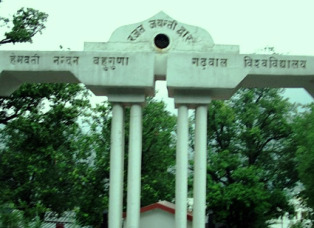 Hemwanti Nandan Bahuguna Garhwal University is the main central University in the Garhwal region of Uttarakhand State situated in the Srinagar Garhwal. The date sheet of Upcoming Graduate and Post- Graduate examination of the HNB Garhwal University is released today. As per the University, exams will starts from 10th April and ends on 5th June 2013. The exam schedule is posted on the Website of Garhwal University and you can also check and downloads here you exam date schedule. And everyone can also find there exams details on University website. I am giving some links below to check your exams date sheet details. Click here to Downloads the date sheet of exams. Click here to go University website. For any other query you can directly contacts to University and for exams update and admit card follow us by email, we will post the updates soon in our website.